Entry by Suou on Thu Jun 16 07:55:42 2011. Gotta love Muku and Byaku! Their running is making me laugh so hard! Umm.. Uni's face is... Hahaha. This is awesome >¨DDD SO FUNNY! 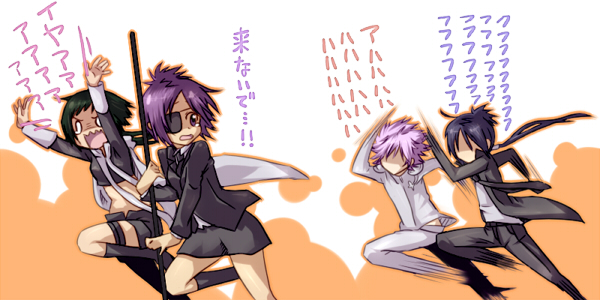 I Would Be The One Chasing them (Mukuru and Byakuran). ILU2 MUKURO! BYAKURANNNNN!!!!!!! <3 <3 x3 lol?